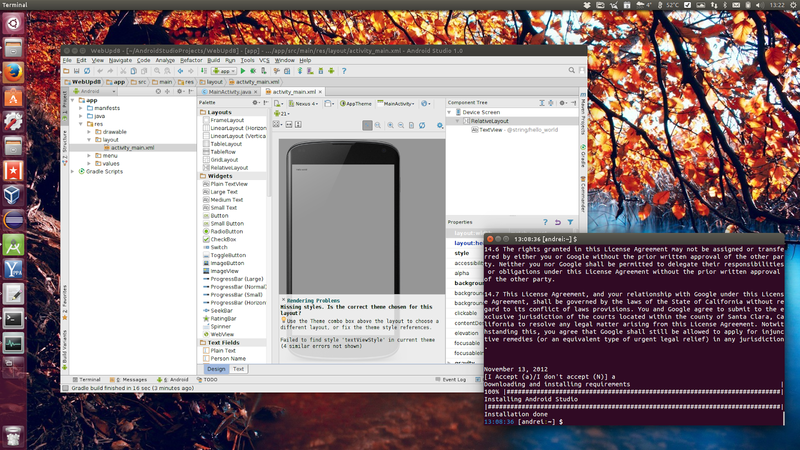 Ubuntu Developer Tools Center, a project to allow easy installation of common developer tools, has reached version 0.2. With this release, the project was renamed to Ubuntu Make, based on name proposals from the community. 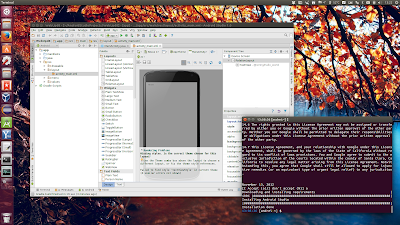 For now, Canonical is focusing on Android developers with Ubuntu Make, allowing easy installation of Android Studio and Eclipse, but in the future, the tool will also target Go, web and Dart developers. 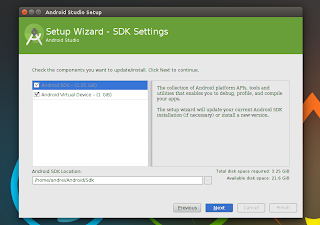 Ubuntu Make 0.2 was released today and and besides the name change, it brings a fix for the Android Studio installation, which reached the 1.0 milestone and also, ADT was removed because "upstream doesn't provide any bundle anymore as this tools is deprecated in favor of Android Studio", mentions the Ubuntu Make changelog. Why doesn't Canonical provide these tools directly in Ubuntu Software Center? None of Didier Roche's (the main Ubuntu Make developer) articles mention this however, Alan Pope, Engineering Manager at Canonical, posted a comment on WebUpd8 a while back, saying that "With Software Center (or indeed any repo) someone has to build packages and submit them, with this, they don't. They get the latest crack with one command", so it looks like it's simply easier to provide these tools with Ubuntu Make. You can then use the new "umake" command ("udtc" still works for now) to install Android Studio and / or Eclipse in Ubuntu. If you want to help with the Ubuntu Developer Tools Center development, report bugs, etc., check out its GitHub page.